Some of our gear reviews, including this one, contain affiliate links for which we receive commissions. I only recommend gear I have personally used and reviewed. Take a moment to read our Affiliate Link Policy. You wouldn’t think it would be so hard to stay hydrated at the park. For our international readers, parks in the USA range from state-of-the-art – with modern facilities and readily available potable water – to not much more than a former pasture converted to fields. So referees have to be responsible for making sure they enough fluids to cover a three (or four, or five) match day. The problem with the large, traditional plastic water jugs is that they don’t keep water cold for very long, and they inevitably leak when turned over after taking a sharp turn on the way to the field with sports drink in one hand, a quick bite in the other, and the steering wheel in the other. Oh, right. 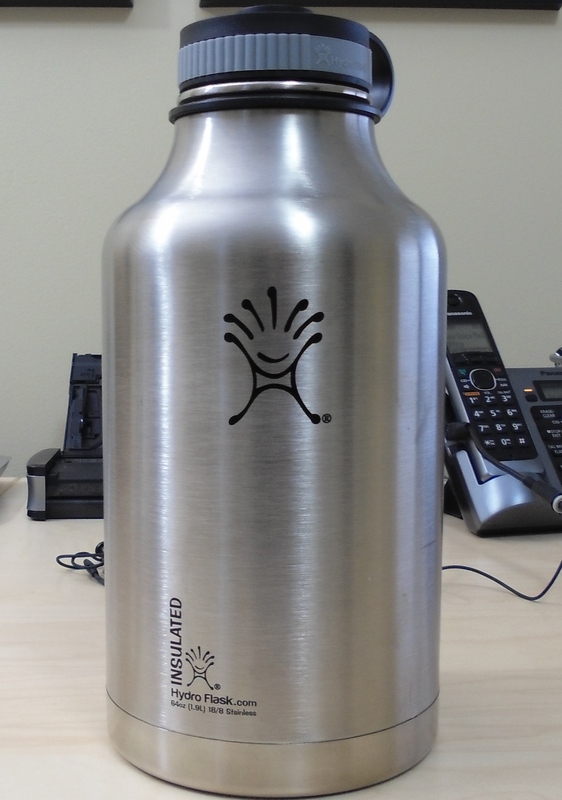 After a bit of searching, I found the Hydro Flask Stainless Steel Drinking Bottle, $45 via Amazon. 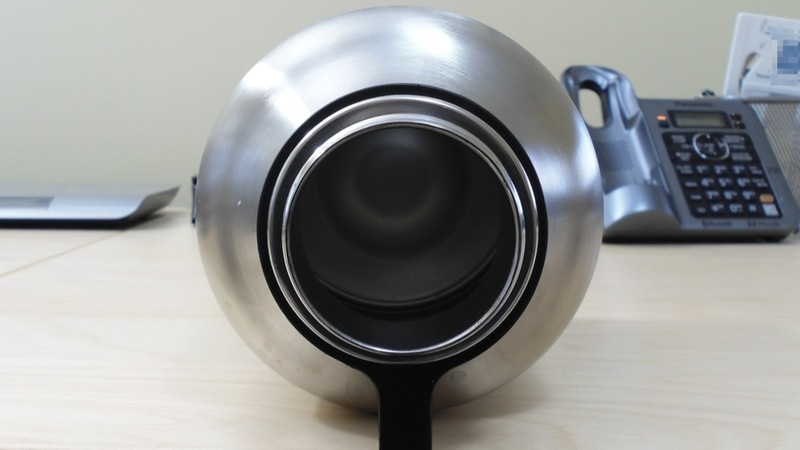 Not only does it meet the three criteria above, it’s also free of BPAs (owing to its’ stainless steel design), won’t sweat, and has a wide, comfortable drinking mouth. 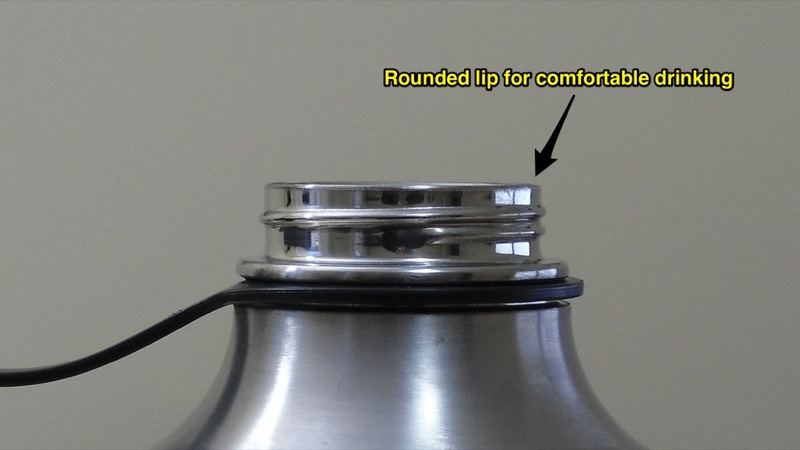 The screw on/off cap is tethered to the vessel via a strong plastic neck band. I don’t think there’s much risk of it breaking. I filled the bottle and held it upside down (over the sink) in various positions, checking for leaks and didn’t find any. I also drove it around the block a few times so it could roll around the floorboards: still no leaks. The double wall construction prevented any sweating (condensation) on the outside. 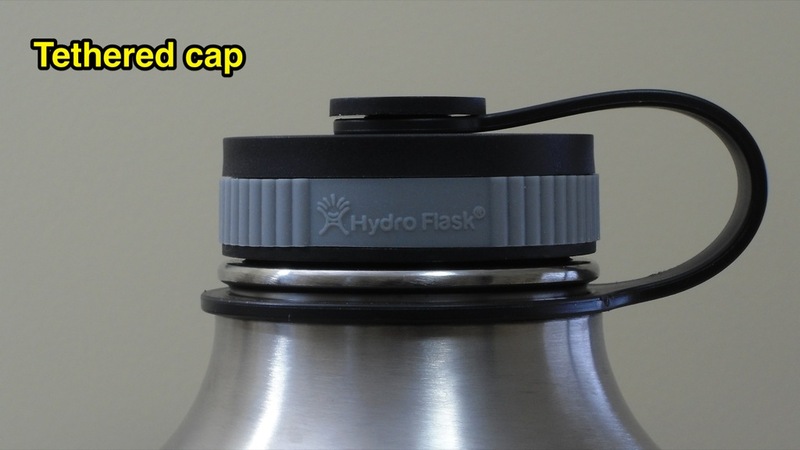 The manufacturer says the Hydro Flask can also be used for hot beverages, though I didn’t test this. Finally, the manufacturer offers a lifetime warranty that doesn’t cover “regular wear and tear” but does offer protection against such complaints as broken or leaking caps and flasks that no longer insulate. The most obvious is the price. At $45, it is much more expensive than a simple plastic jug. And since I haven’t tested it long term, I’m not sure how it will hold up after a season of abuse in my car and on the field. At the very least, I would expect the nice stainless steel finish to scratch and rough up. I’ll report back on that after the end of Spring season. But the lifetime warranty should ease concerns about the price of the flask. 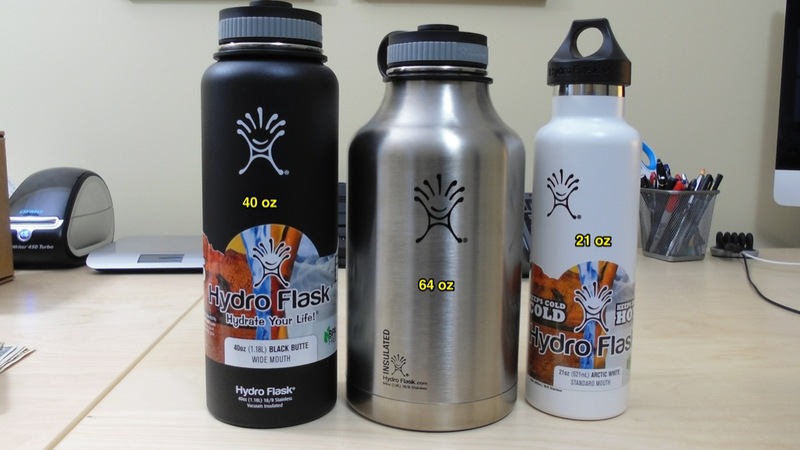 The Hydro Flask is available in both stainless steel and matte black finishes in the 64 oz size, and in a multitude of colors in smaller sizes and is available via Amazon and other outdoor retailers. Late in 2011, the Fox 40 company announced the first major revision to its’ flagship Fox 40 Classic pealess whistle since it was introduced over 25 years ago. The new Fox 40 Classic Eclipse ($8.50, plus shipping) retains the sound of the original Classic, but adds several new features, some more useful than others. The first thing you notice about the Eclipse is the sleek styling. Where the Classic has a squared-off look, the Eclipse is swept-back, with rounded edges. This really changes the aestheic of the whistle, but, unless you’re a whistle freak like me, that won’t matter to you much. The finish of the Eclipse is now a glossy black, rather than the flat black of the original Classic. In addition, Fox 40 has included a color additive called “SpectraBurst” that allows the whistle to glow in the dark. The company materials say that the whistle will glow the same color that the whistle is. Since my whistle is black, that may explain why I’ve never seen it glow in the dark. Glow-in-the-dark is not something that matters to me at all. However, someone using the whistle for safety reasons may find this an appealing feature. In that case, I think I’d pick a color other than black. The most significant change in the whistle is the inclusion of an integrated, co-molded Cushioned Mouth Grip. This is different than the CMG versions of the Classic, which had a cushioned mouth grip added to the finished whistle. The mouth grip on the Eclipse was designed in from the beginning, resulting in a sleeker profile. In the mouth, the Eclipse isn’t quite a cushy as the Classic CMG; I find that I prefer the feel of the Eclipse over the CMG, but that’s just a matter of personal taste. All in all, I find that the Eclipse is a worthy addition to the Fox 40 lineup. It looks cool, feels good in the mouth, and still produces the classic, er, Classic sound. The price is higher than the original Classic, but you do get more features for your money. For me, I think I will probably stick with my Fox 40 Sonik Blast whistles. I still find the Blast the easiest to blow, and the tone is slightly different from the Classic, which is handy in crowded parks. If you prefer the Classic, you should try the Eclipse. If you’ve ever dealt with the pain of plantar fasciitis, you know how debilitating it can be. And recovery takes time. Among the worst aspects of recovery is how painful the first few steps of the morning can be. Fortunately, I’ve found a product that helps with this considerably. When you’re sleeping, the plantar fascia is relaxed, and, in fact, begins the healing process. Until you get up the next morning, that is, and start unwittingly stretching it as you take the first steps out of bed. This re-injures the ligament and starts the whole process all over again. That’s where the Strassburg Sock comes in. This funny looking device keeps slight pressure on the plantar fascia while you’re asleep, so that when you awake, you aren’t just tearing the ligament all over again. Simple idea, right? I have found that it actually works. After even the first night, you notice that the morning pain is lessened considerably. After a couple of nights, the ligament actually starts improving. The sock isn’t cheap at $40, but it’s a small price to pay for relief from plantar fasciitis. A couple of ordering notes: you get one (1) sock for $40, and you need to measure around the fat of your calf to determine which of the two sizes (regular or large) to order. This revews examines the long sleeved Kwik Goal Premier Referee Long Sleeve Jersey in green, and compares it to the OSI Pro Referee Jersey. 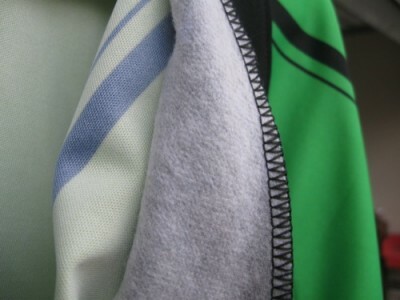 To get a more technical perspective on the difference between the two garments, I asked a family member who is retired from many years in clothing manufacturing to review both garments. The bottom line: the OSI jersey is a somewhat higher quality garment than the Kwik Goal version, but either would serve the purpose just as well. 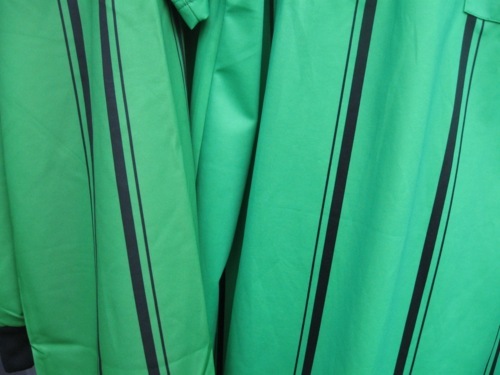 As noted in my review of the black Kwik Goal jersey, the green KG also offers one feature not offered in the OSI jersey: a handy pen channel in the left pocket. The professional’s review of the jerseys revealed a few details that were lost on me. For example, the OSI jersey has a discernible “thickness” in both the collar and placket that is absent from the KG jersey. 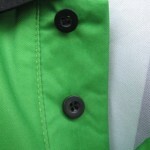 This is due to the use of interfacing fabric in the placket and collar, as you can see in the gallery below. Why does this matter? After repeated washings, the shape of the OSI collar and placket should hold up better than that of the KG jersey. 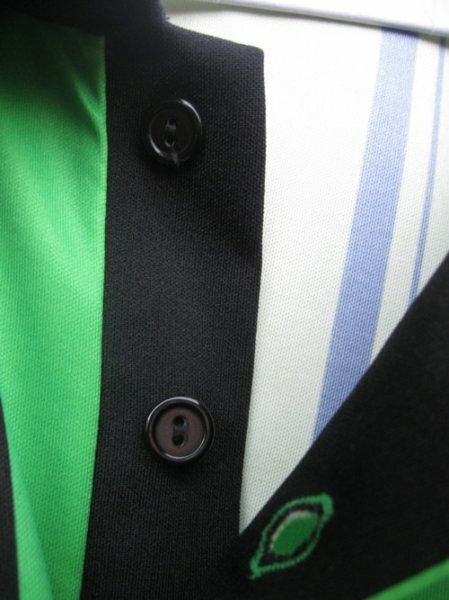 Another difference: the collar placket on the OSI jersey is black, while the KG jersey is green. Does this matter? I’m not sure, so I guess beauty is in the eye of the beholder. Finally, there is a slight difference in color shading between the two jerseys. To be fair, I should point out that the OSI jersey has been washed five or six times, while the KG jersey has never been washed. You may be able to see that the KG jersey, on the left in the photo, is slightly darker. If you’re having trouble seeing the difference, then you’ve got the point. If referees were lined up next to each other wearing alternating KG and OSI jerseys, you may be able to just tell the difference. Honestly, I don’t think most people would ever notice a difference. Based on the technical review of these jerseys, I’m ready to offer some recommendations. If you are really serious about refereeing and believe it is important to have “the best”, then the OSI Pro jersey is the best choice. On the other hand, if you are a new referee just building your uniform collection, I recommend purchasing the Kwik Goal jerseys over the OSI Economy line. For about the same price ($24.95 OSI v $24.99 KG), the Kwik Goal jerseys offer two usable pockets thanks to the velcro flaps, which are absent from the OSI Economy line. Throw in the pen channel and the button up collar, and the KwikGoal jersey is an easy winner over the OSI Economy line. Finally, if you are an experienced referee who has been holding off on adding to your uniform colors because of the price of the OSI Pro Jerseys, the Kwik Goal jersey is a perfectly serviceable alternative. At $33 shipped (amazon.com) vs $56 shipped (officialsports.com), the Kwik Goal jerseys would be a great cost-saving alternative for those rarely worn blue and green colors. A quick post script: if you are concerned about supporting US Soccer through its’ official partners, rest easy. Both OSI and Kwik Goal are official “Technical Partners” of US Soccer. While the SPINTSO seems to be the preferred watch for many advanced referees, the idea of plunking down $150 on a watch I wear a couple of times a week makes my knees weak. I’ve tried a couple of different watches, including a Timex Ironman that works fairly well, and a Wal-Mart generic brand that has almost no features, but only costs $10. Both were suitable to the task, but I continued to search for a watch that had referee-specific features, including a countdown timer, and, ideally, the ability to easily stop and start one timer, while keeping another continuously running. Enter the Casio Men’s W756B-1AV Digital Sport Watch ($20, Amazon.com). The Casio is packed with features, with perhaps the best being a very reasonable price. Among the many features of the Casio are countdown timers featuring preset countdown intervals of 45, 40, 35, 30, 25, 20, 15, and 10 minutes. In stopwatch mode, two clocks appear on the screen; the larger, main timer is always running. The smaller timer in the lower right corner stops when you press the large Start/Stop button at the bottom of the watch face. The difference between the two clocks gives you the amount of added time. (To be fair, the SPINTSO watch calculates added time for you; you’ll have to decide if that level of subtraction is worth the extra money). In timer mode, the watch can be set to countdown from a preset interval, say 45 minutes, then start counting down a halftime interval, say 15, minutes, then start counting down the second 45 minute half, all without touching the watch after setup. Buttons are logically laid out using a typical watch format: upper left is Adjust, lower left is Mode, upper right is Light, and lower right is Reset. The large grey start/stop button on the face is especially convenient. There are a couple of drawbacks: the alarms that sound at the end of the countdown period cannot be disabled, so you have to remember to turn it off before it gets to zero. Also, if you’re in the over-40 crowd and wear contact lenses when you ref, the small timer in the lower right corner can be a bit hard to read. Overall, the Casio W756B-1AV Digital Sport Watch is a great value for the price and I give it a four whistle rating (out of five).